Do you see the problem with a new workspace? If not then issue would be specific to the particular workspace you are opening with SOAtest. Please verify you aren't keeping too many tst files open all at once. Try closing all your tst files then restarting the tool (double-click or "right-click > Close Test (.tst) File"). Please also check how many violations you have in the Quality Tasks view and try clearing those out as well. Concerning your Writable data source, try clearing it out if there are a lot of old message accumulated in there. Also, if your Writable data source is added at the project or workspace level, try moving it inside of the tst file that is actually using it. This way, the Writable can be freed from memory when the tst file is closed and not being used. Please verify actual heap usage reported by the JVM. Click "Window > Preferences > General > Show heap status" to check this. If the Java heap is running low then more CPU cycles are needed for the JVM to perform garbage collection, reducing performance. You can try giving Java more memory by passing and -J-Xmx argument to soatest.exe. 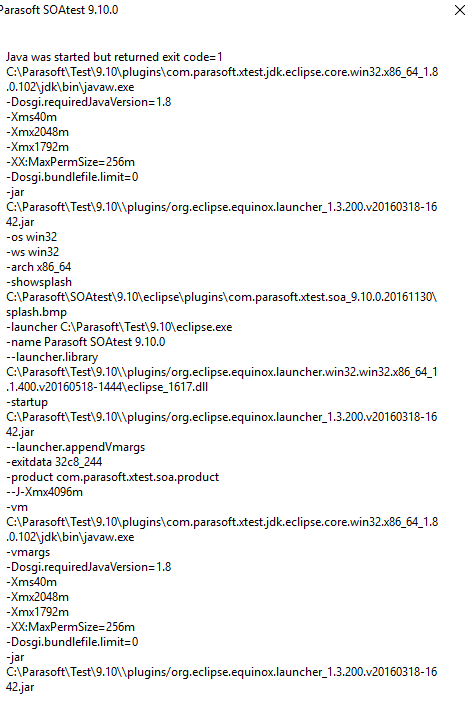 For example, to allow Java to allocate 4GB for its help you can run "soatest.exe -J-Xmx4G"